Congratulations to our Client Biscotti and Kate Mack for their feature on The Art of Making a Baby! What do you wear at your swan themed birthday party? Well, the Kate Mack Swan Lake two piece set of course! 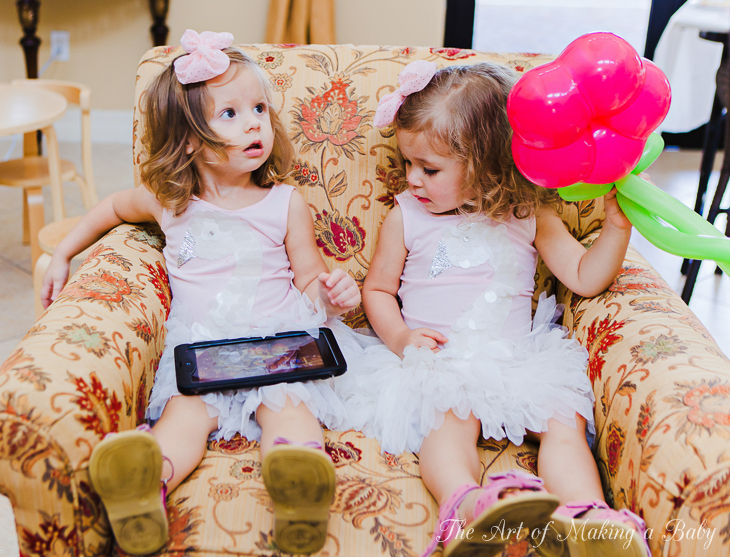 The Lexitwins celebrated their birthday in style wearing beautiful outfits from Biscotti and Kate Mack. The designs in the Biscotti and Kate Mack collections possess a nostalgic and modern appeal destined to please both the youngest customer and the fashion conscious young teen. Whether the occasion calls forÂ a formal or more casual look, the combination of beautiful fabrics with eye-catching details fills the need for what girls (and Moms) want an outfit to be: hip, but also simple, pretty and modest. Check them out at biscottiandkatemack.com!